George H. W. Bush is the overwhelming topic. 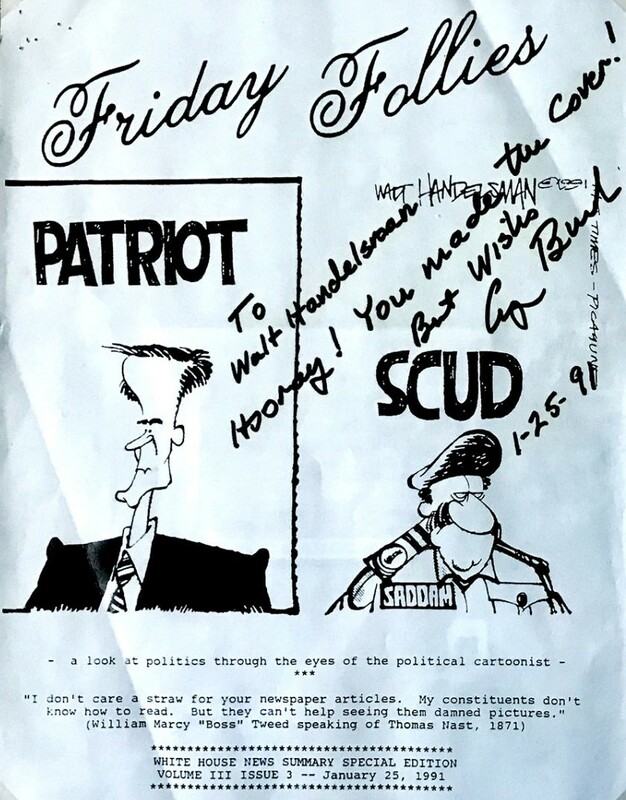 In the Orlando Sentinel Dana Summers recalls a 1989 White House luncheon for editorial cartoonists hosted By Bush 41. Walt Handelsman gets a phone call from the Bush 41 White House about a cartoon. 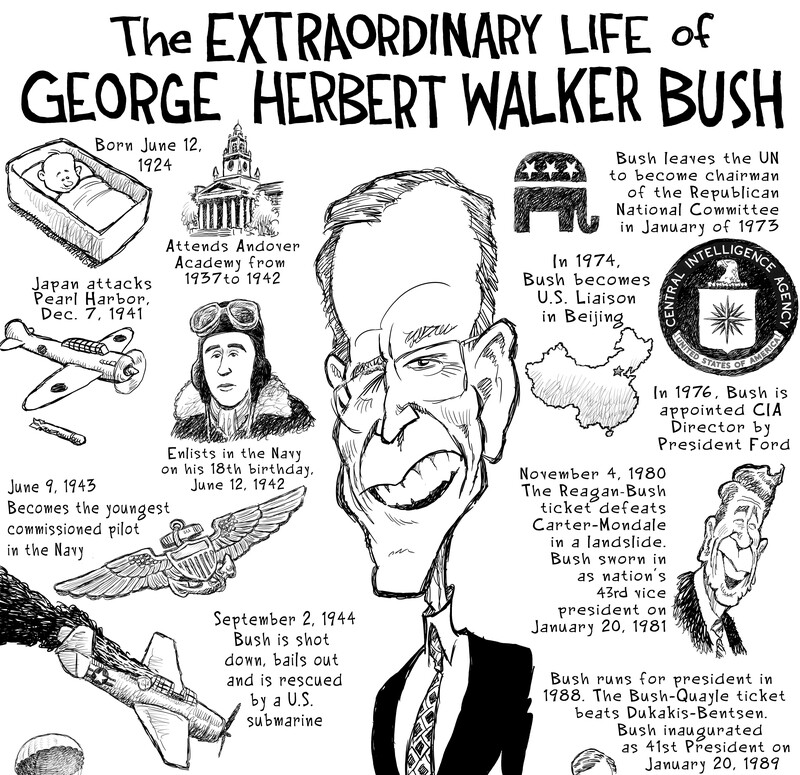 The Extraordinary Life of George Herbert Walker Bush by Nick Anderson. Houston cartoonist (former Houston Chronicle cartoonist) Nick Anderson has a full page tribute to George H. W. Bush drawn years ago with space reserved for when G.H.W.B. went to The Undiscovered Country. Nick had reminded the Chronicle editor about the piece earlier and then they joined forces once again to finish it. Nick posted it on his Patreon page where it can be impressively supersized. The Washington Post’s Michael Cavna has written about the tribute. Here’s The Post article by way of the Charlottesville Daily Progress. 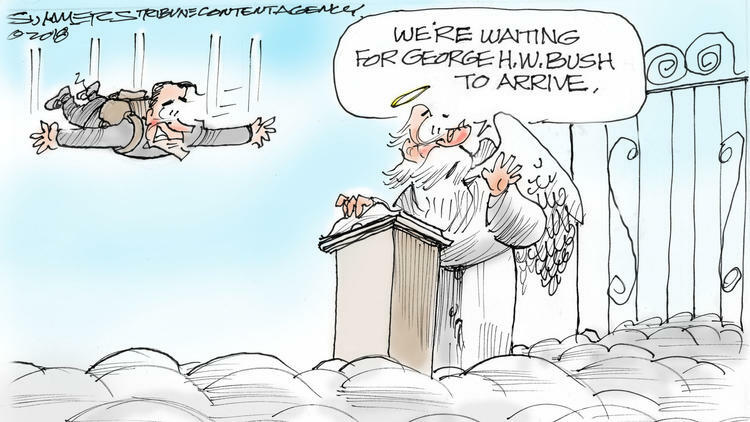 Marshall Ramsey‘s tributes to George and Barbara Bush remain in the news. National news. Marshall shows up for a couple minutes on CNN’s New Day. Then he gets a phone interview on Fox and Friends. Marshall did good on both. [San Diego Union-Tribune] editorial cartoonist Steve Breen is going to Tijuana to get a clearer picture of why thousands of Central American migrants would travel thousands of miles in a caravan to seek asylum in the United States. 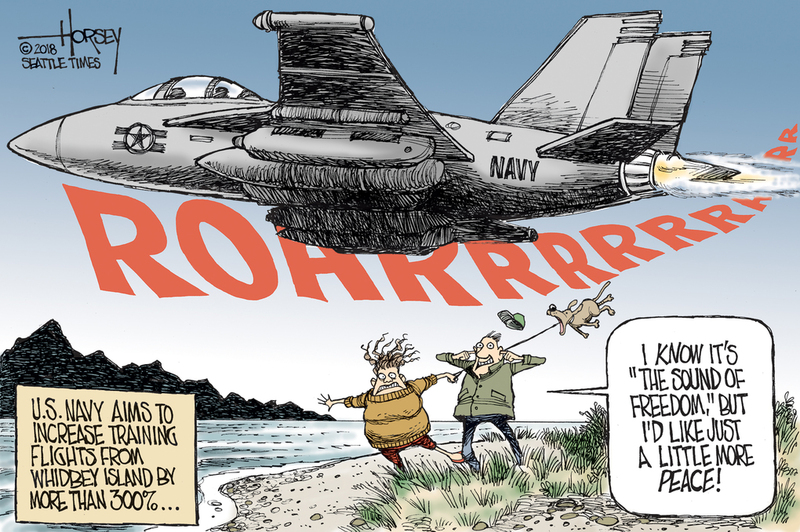 Cartoonist David Horsey’s illustration and accompanying commentary lack considered perspective. The increase in jet inventory and increase in training are vital to safety and in line with historical impacts. 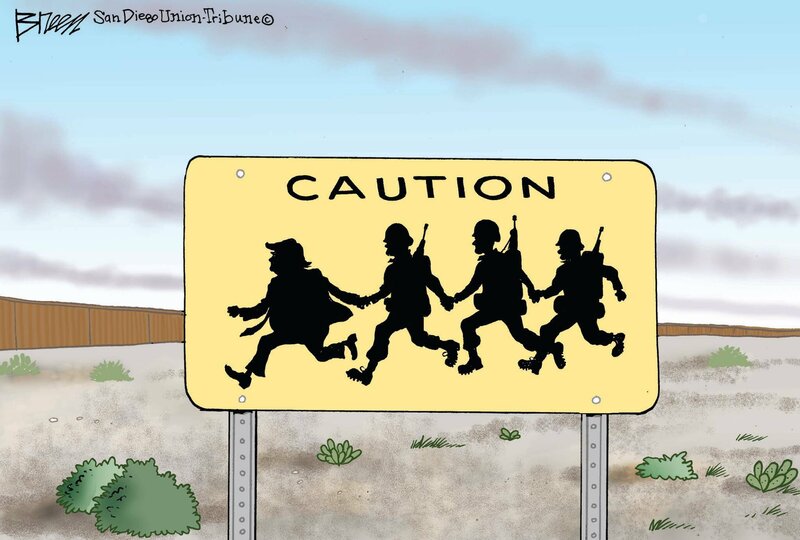 By contrast, the characters depicted in the cartoon, and in reality, are most likely recent Pacific Northwest arrivals. After having moved here, they wish the Navy to move elsewhere. 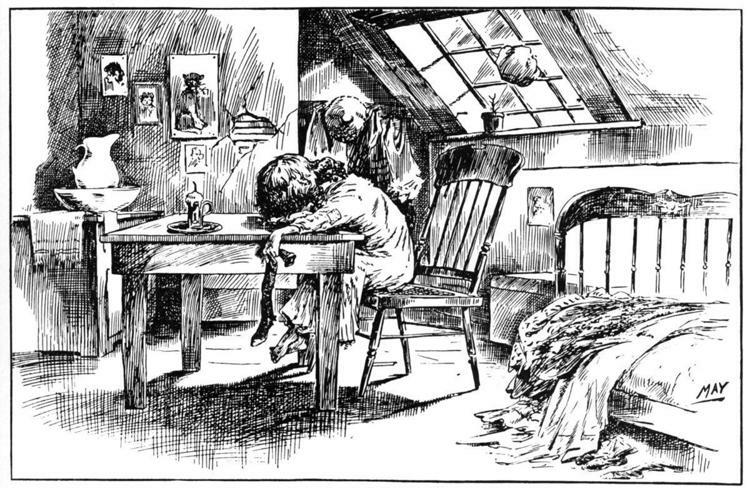 The annual revival of a 1906 cartoon. 28 queries in 0.268 seconds.